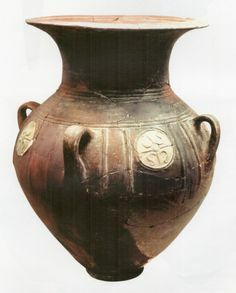 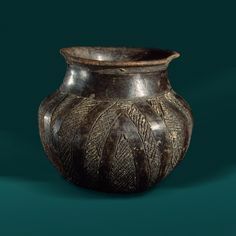 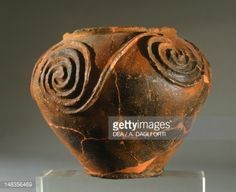 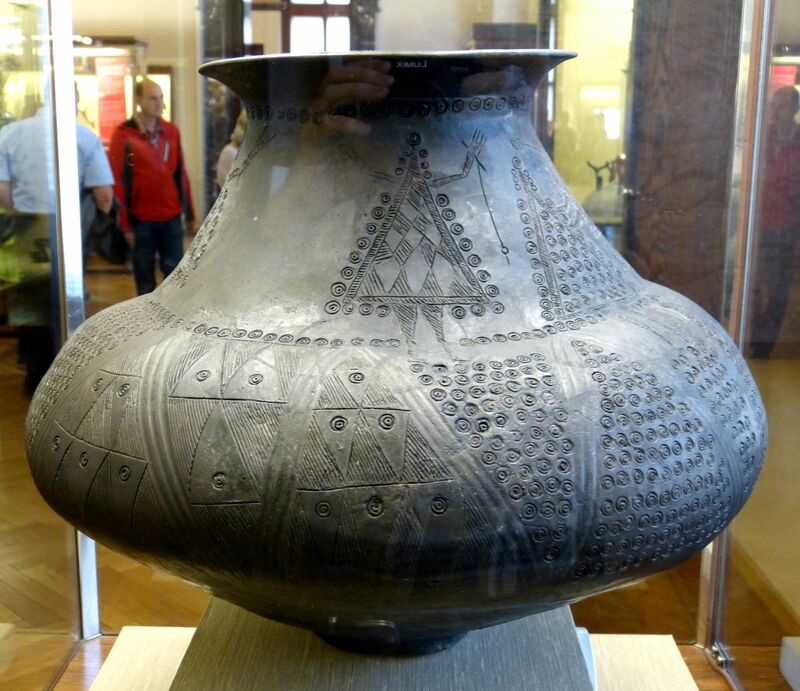 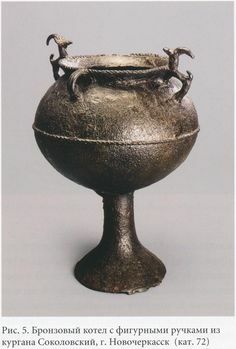 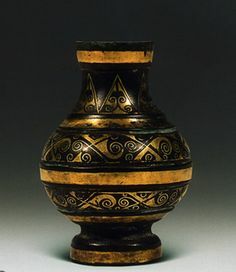 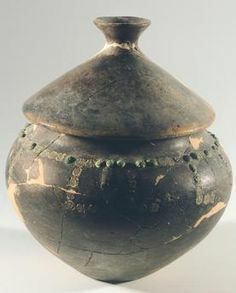 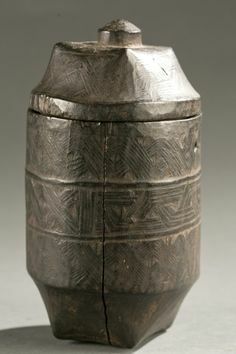 URN DECORATED WITH BRONZE PINS - Urnfield culture (Budapest, III. 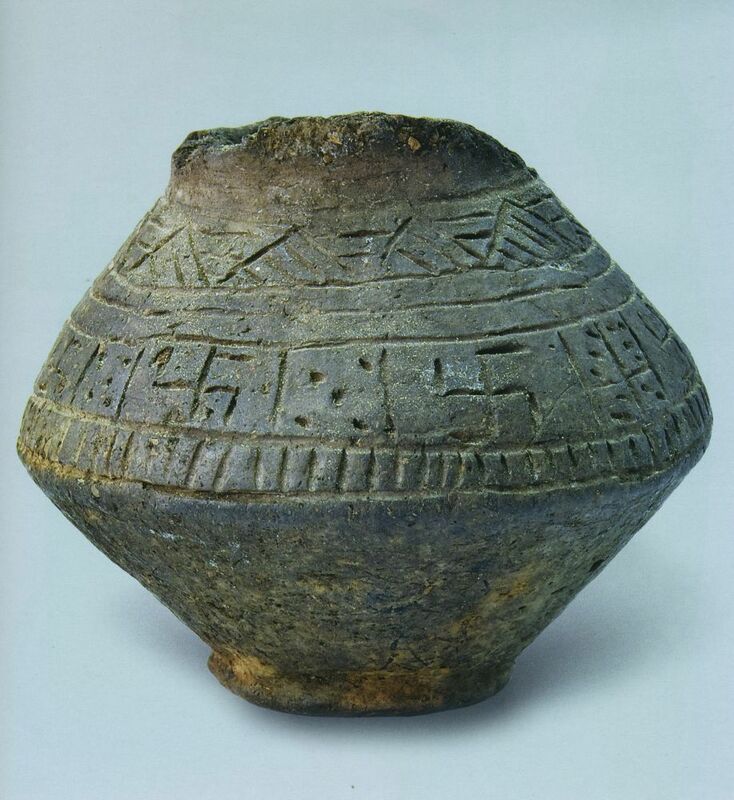 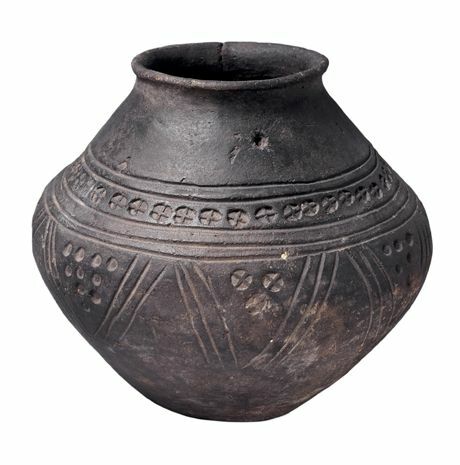 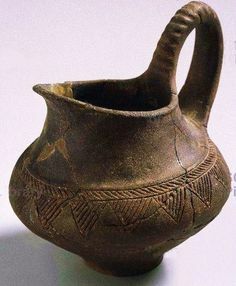 district Királyok street), 1500-800 BC. 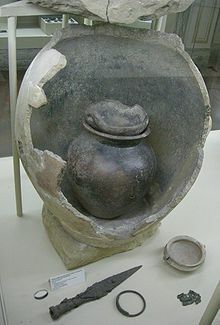 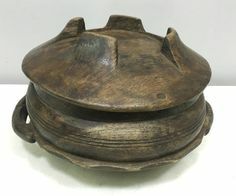 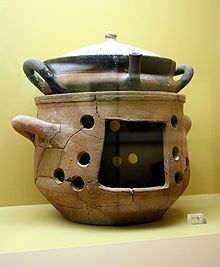 Funeral urn from Villanova culture with Helmet Lid. 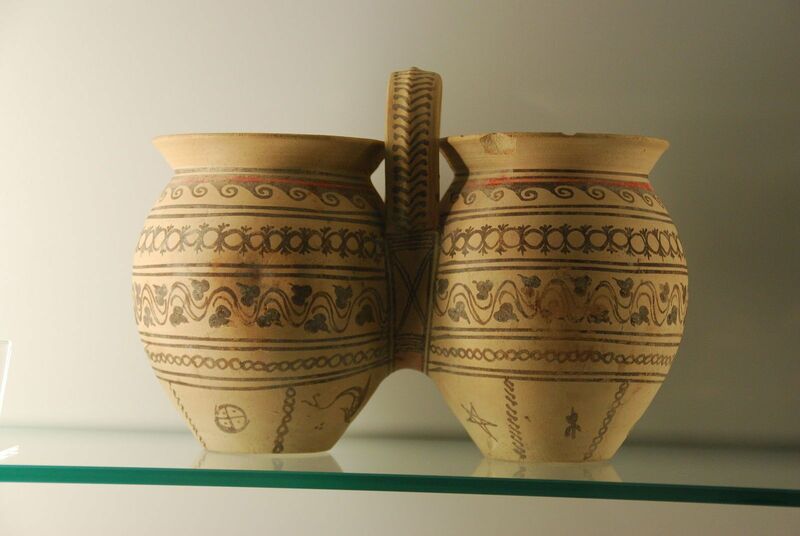 Pottery: Impasto kyathos with string-impressed decoration. 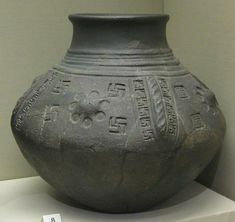 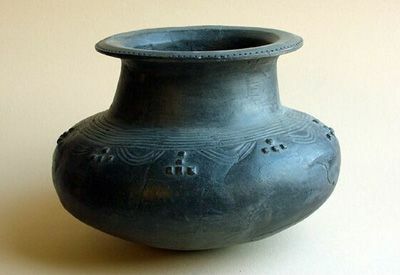 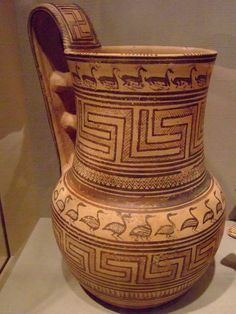 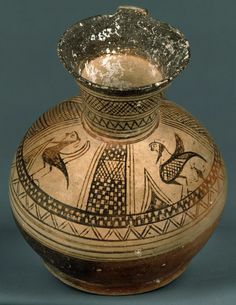 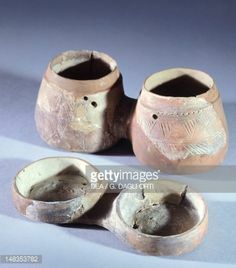 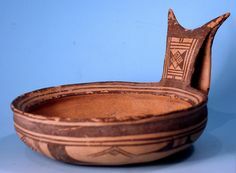 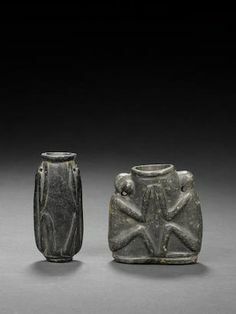 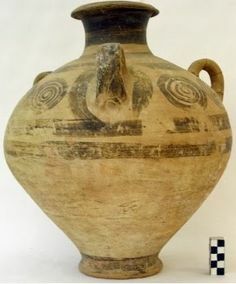 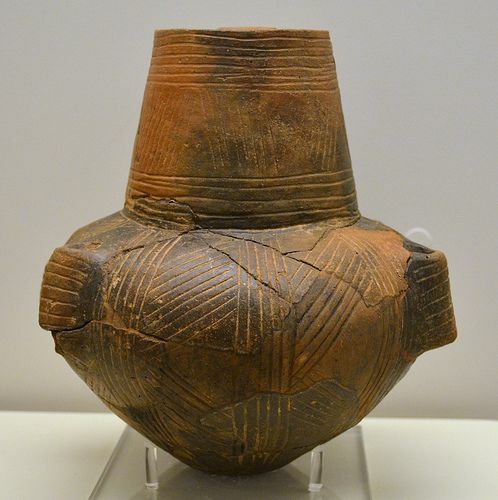 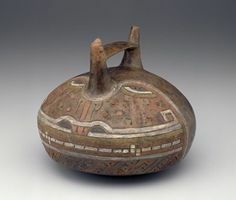 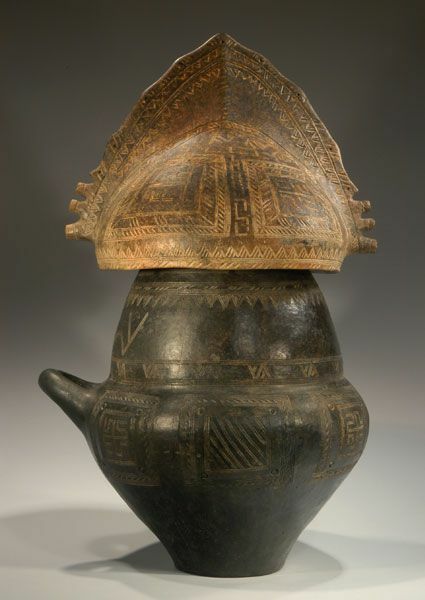 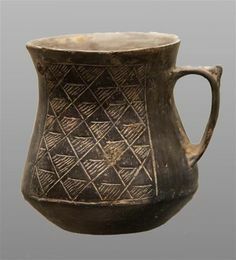 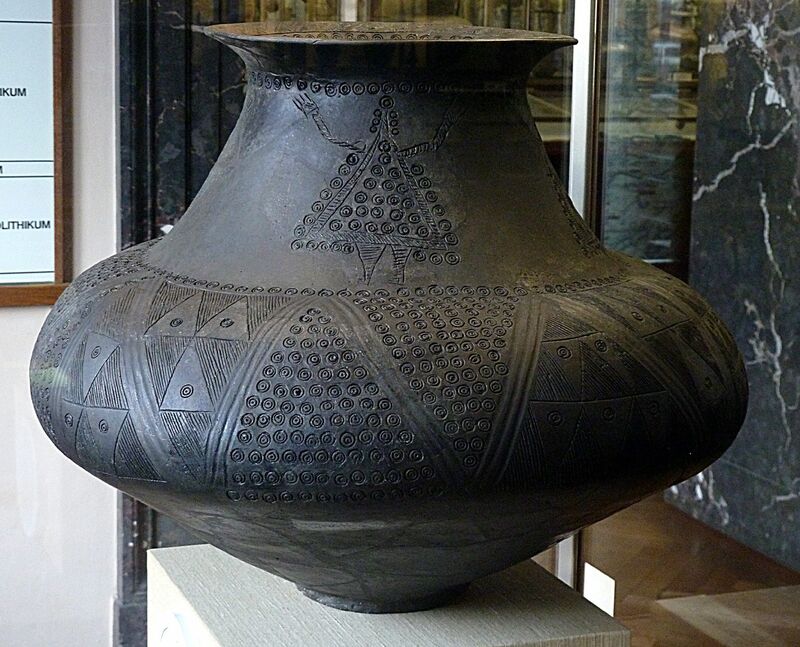 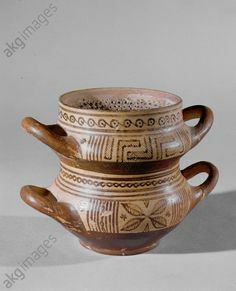 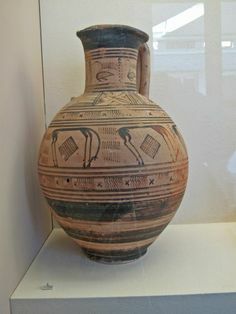 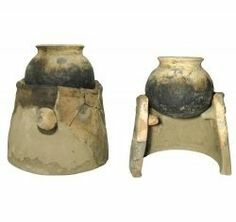 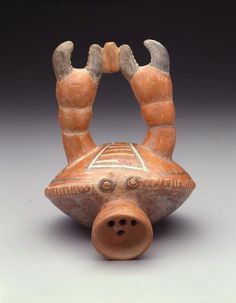 Pottery oinochoe decorated with geometric patterns and two sirens. 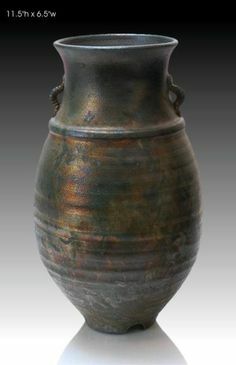 Brown clay with silver mica and numerous lime inclusions. 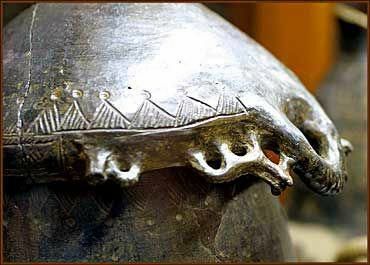 Горшок с изображением сельскохозяйственного календаря. 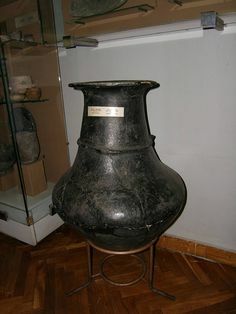 Сер. 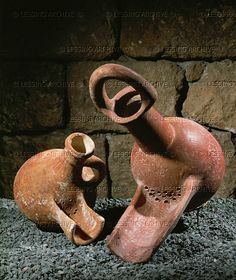 ІІ тыс. 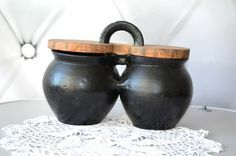 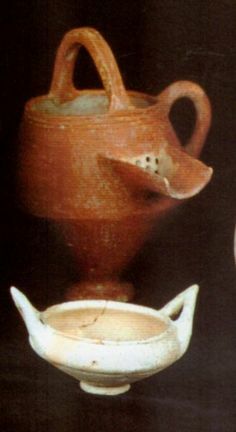 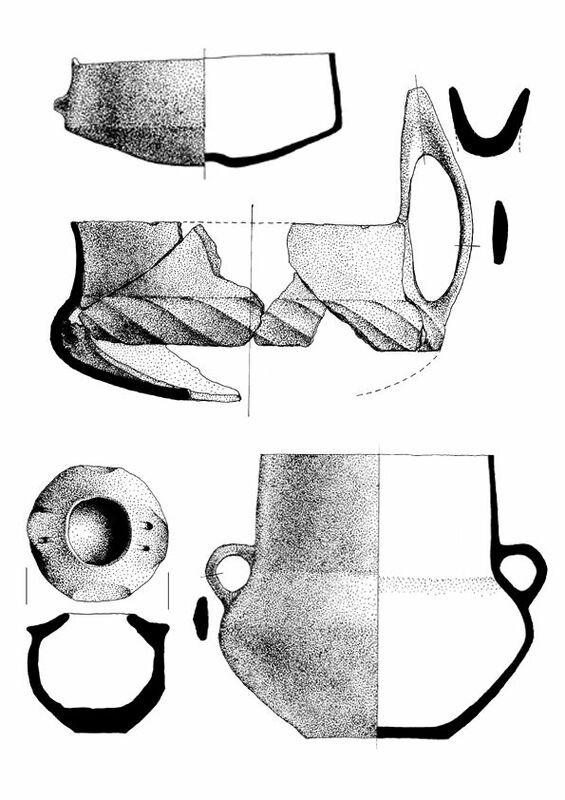 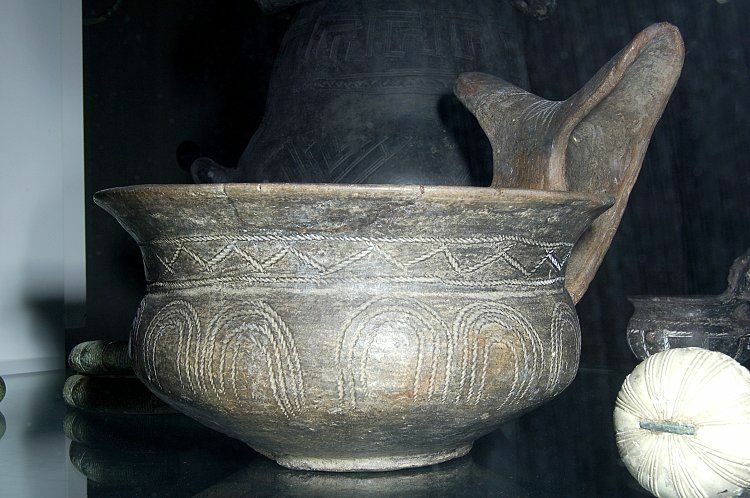 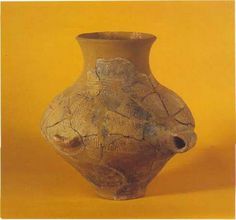 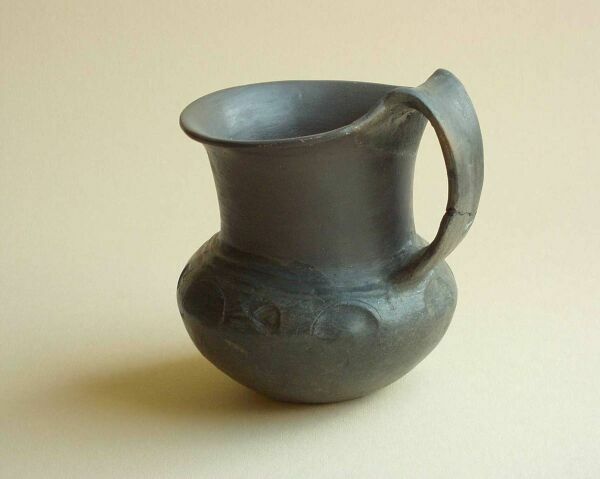 до н. э.
One-handle "beer-jug" (left) Israelite Iron Age II, from the Hebron district . 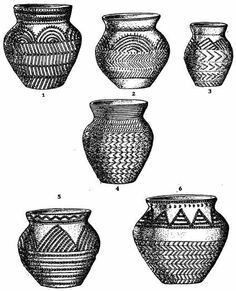 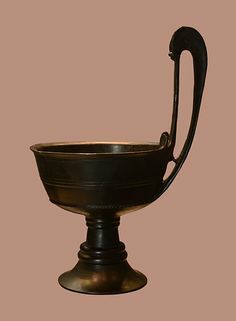 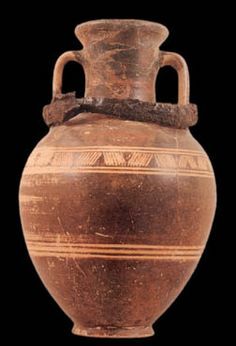 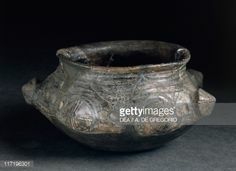 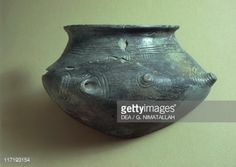 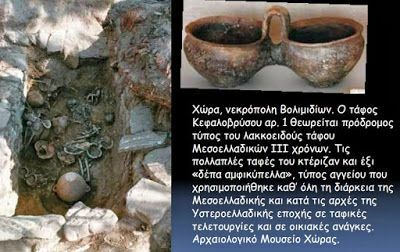 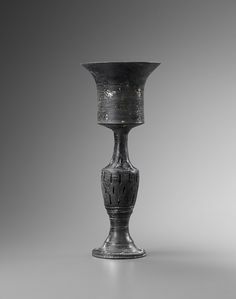 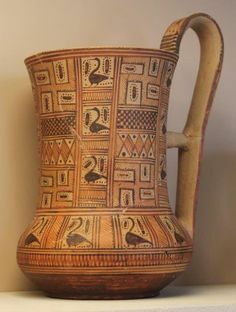 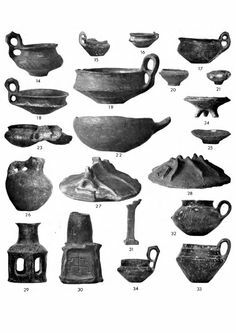 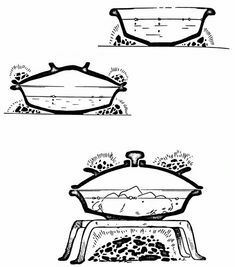 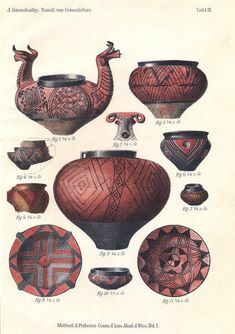 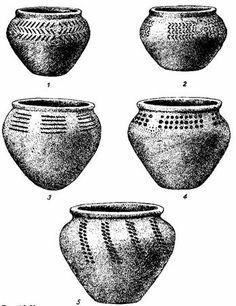 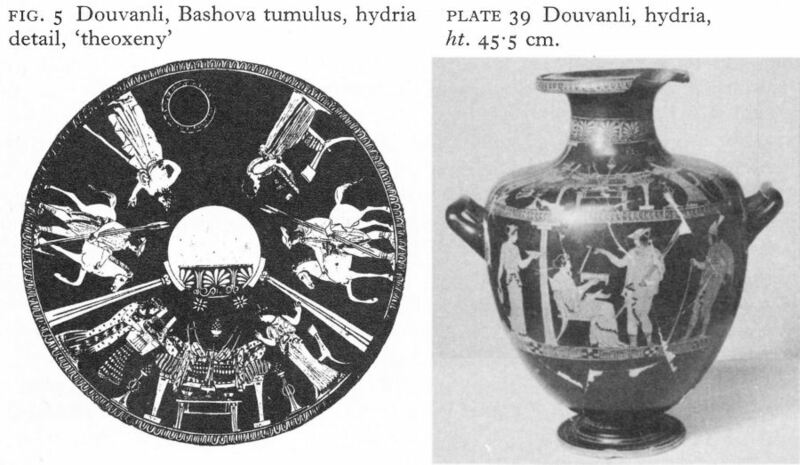 The pottery consisted of two Attic red-figure hydriai and a black-glaze jug identical in shape and decoration to the inscribed silver jug. 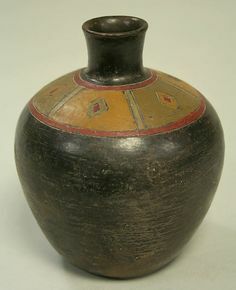 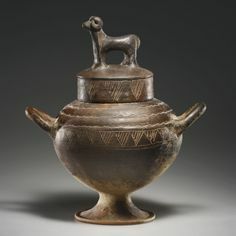 Olla with lid and ram attachment in impasto ware red-brown clay with matt polish, Villanovan, Capena (? 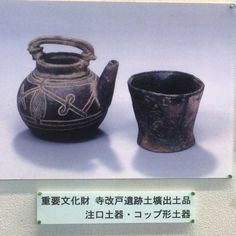 KOINUMA MICHIO (b. 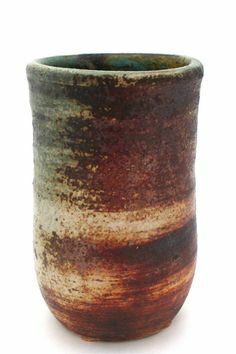 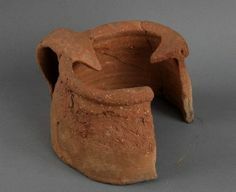 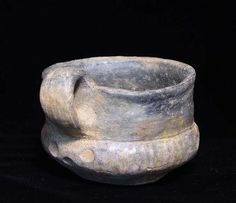 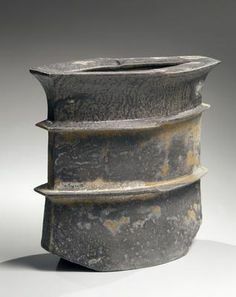 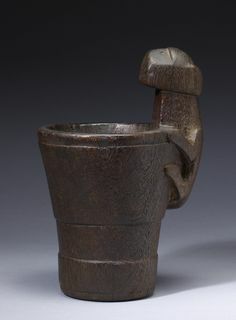 1936) Flattened, ridged jar form with uplifted bottom corners and large rimmed mouth, 2013 Stoneware 12 5/8 x 14 1/2 x 7 1/2 in. 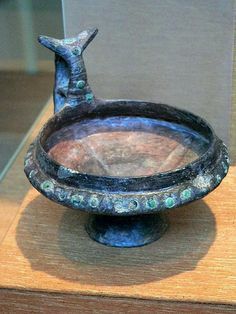 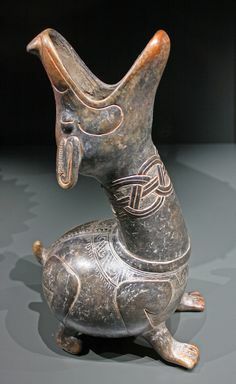 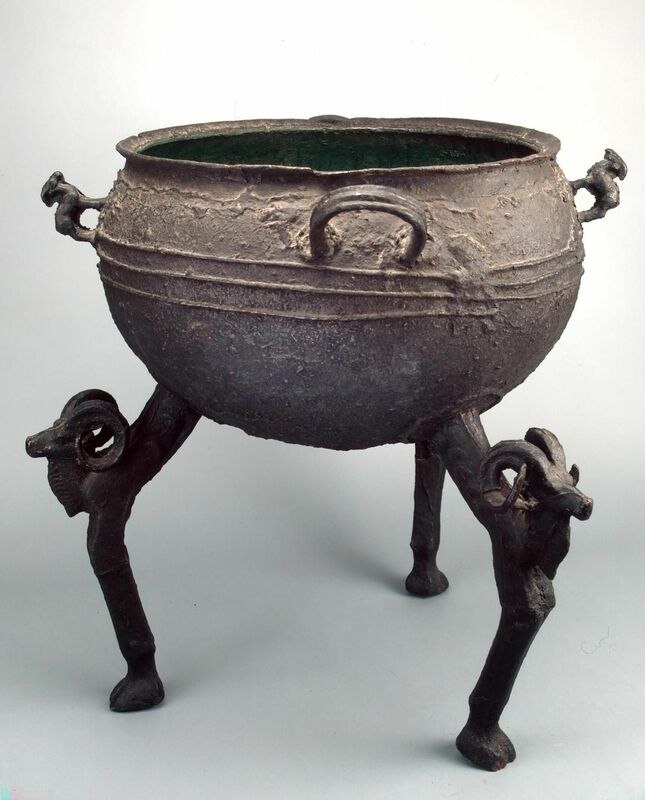 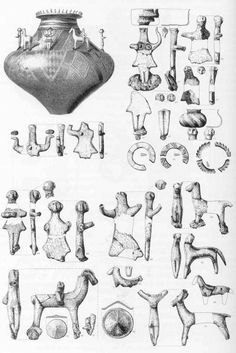 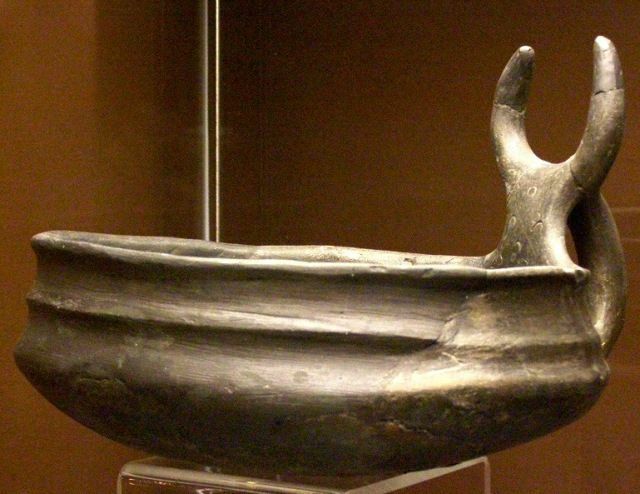 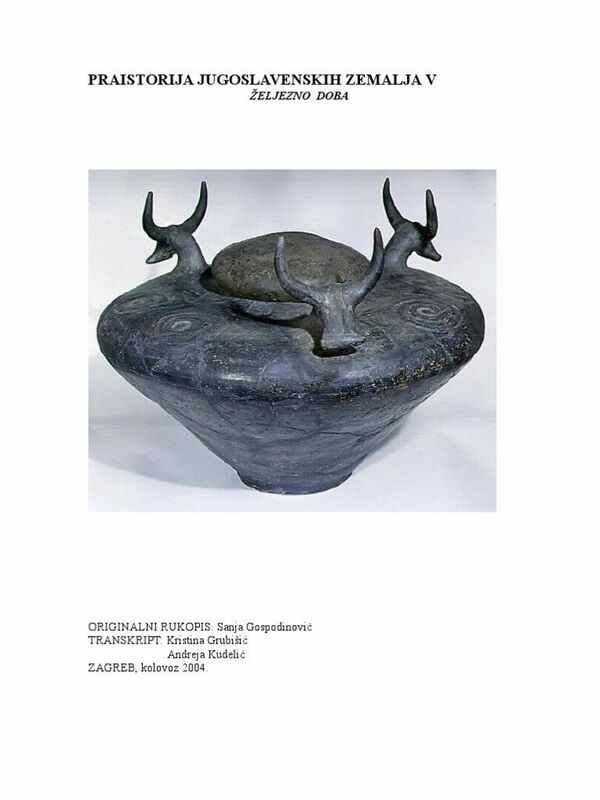 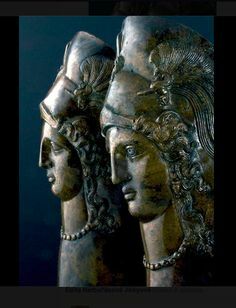 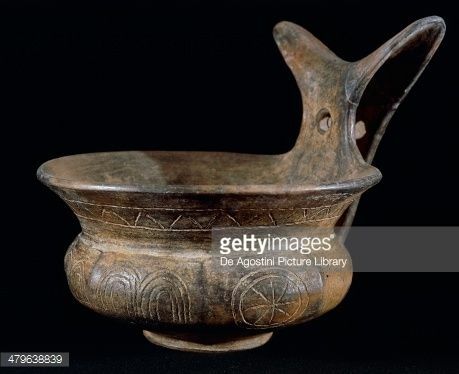 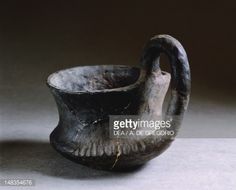 Prehistory, Italy, Bronze Age. 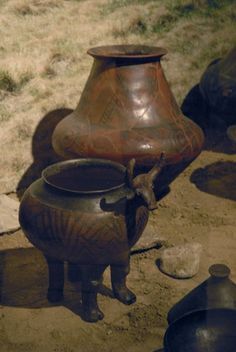 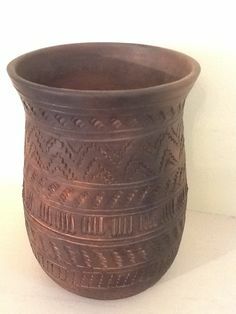 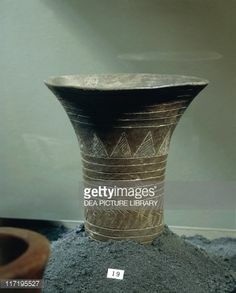 Terramare culture. 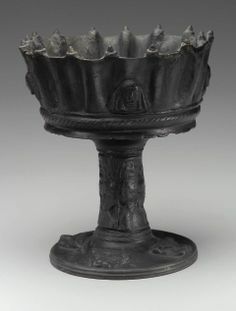 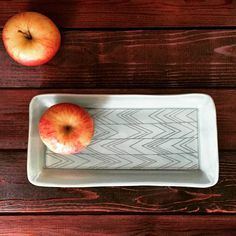 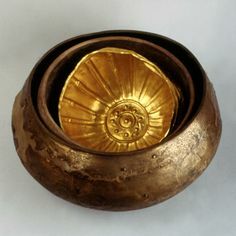 Decorated bowl. 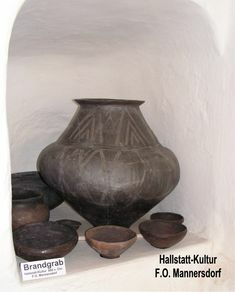 Hallstatt-Kultur ca. 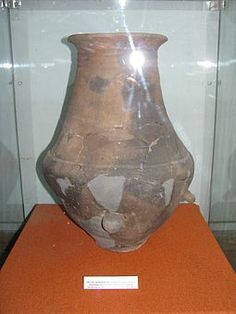 800 v. Chr. 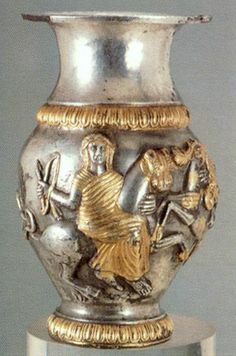 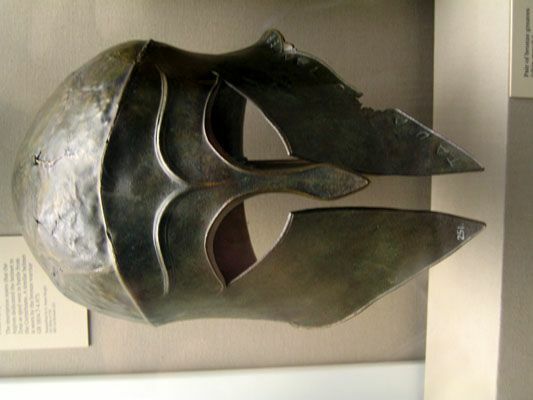 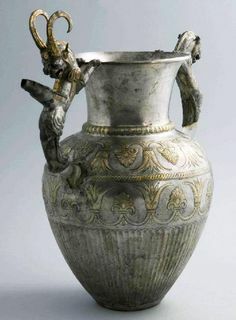 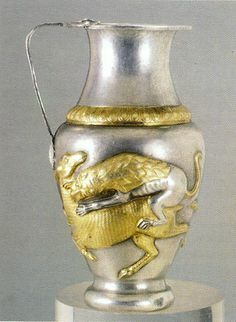 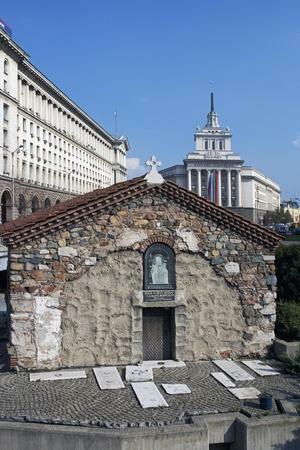 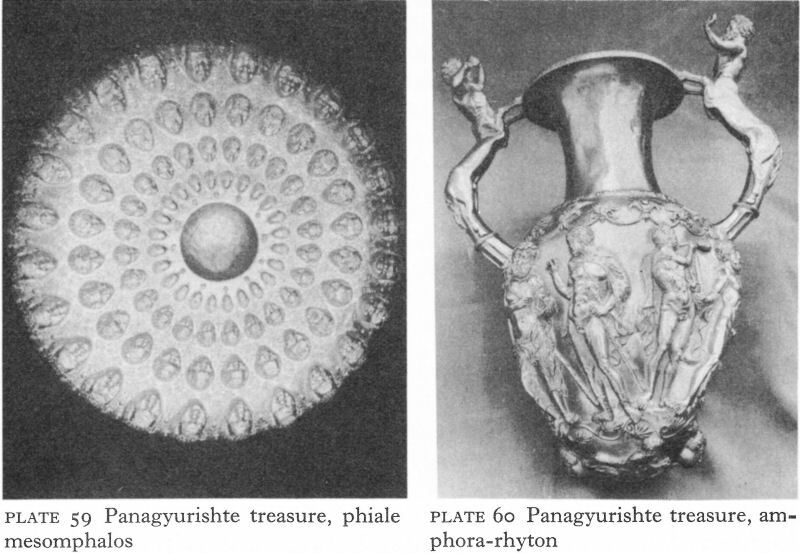 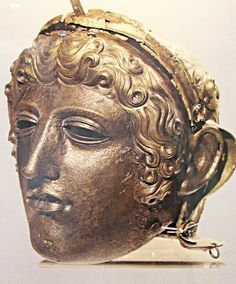 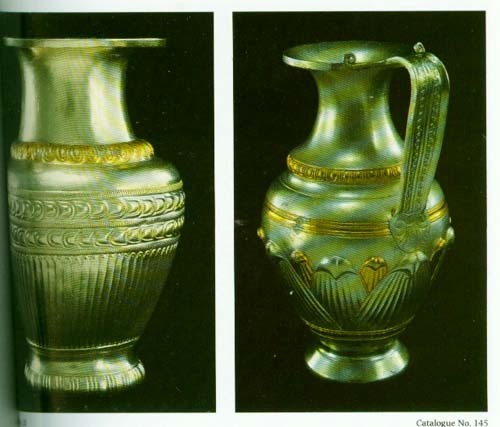 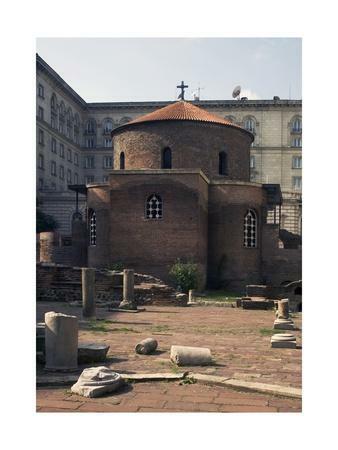 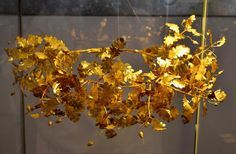 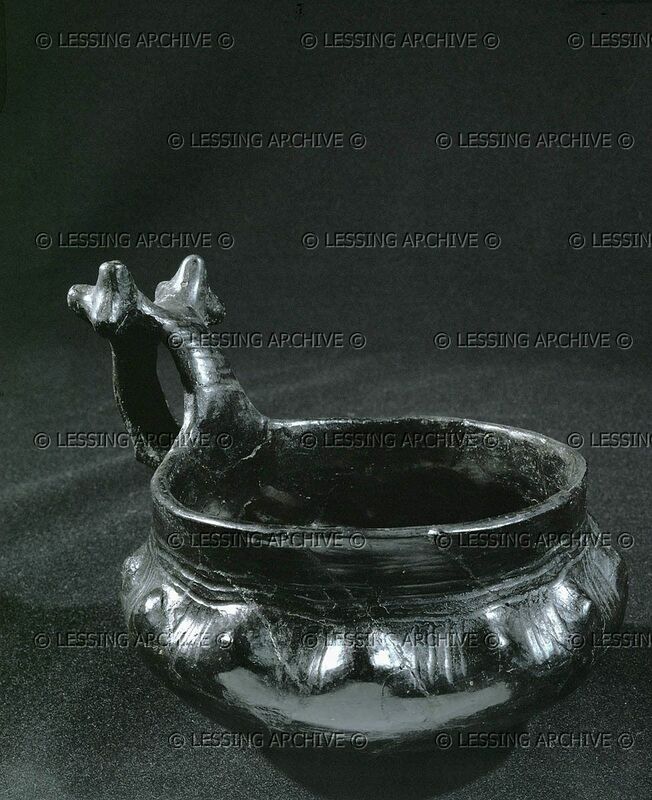 THE ROGOZEN TREASURE.The Rogozen collection is the richest Thracian treasure found so far. 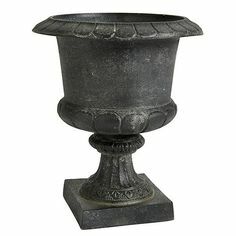 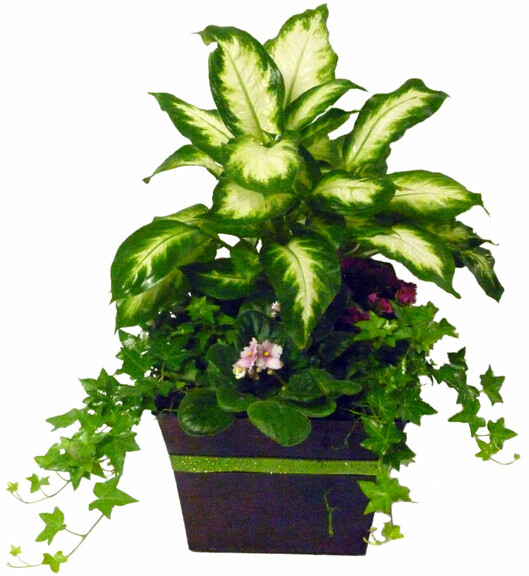 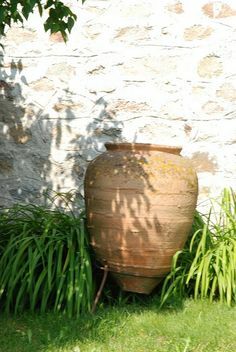 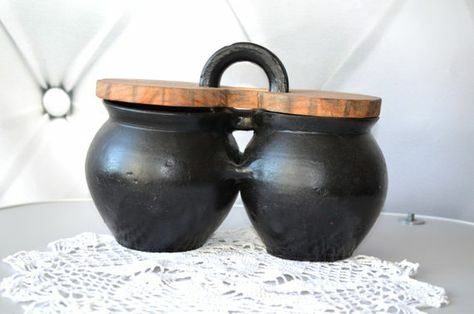 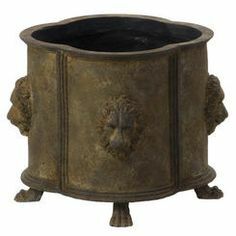 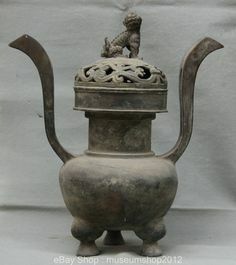 Beautiful oversized clay pot as garden decoration. 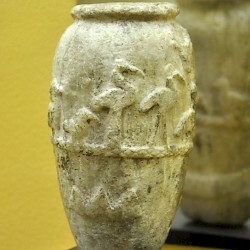 Our database of art work by collection, creator, or type. 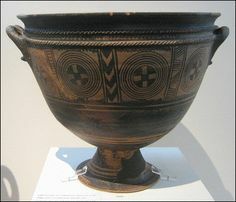 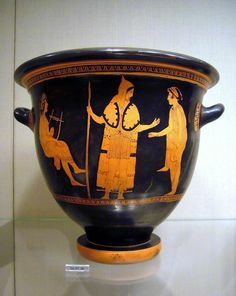 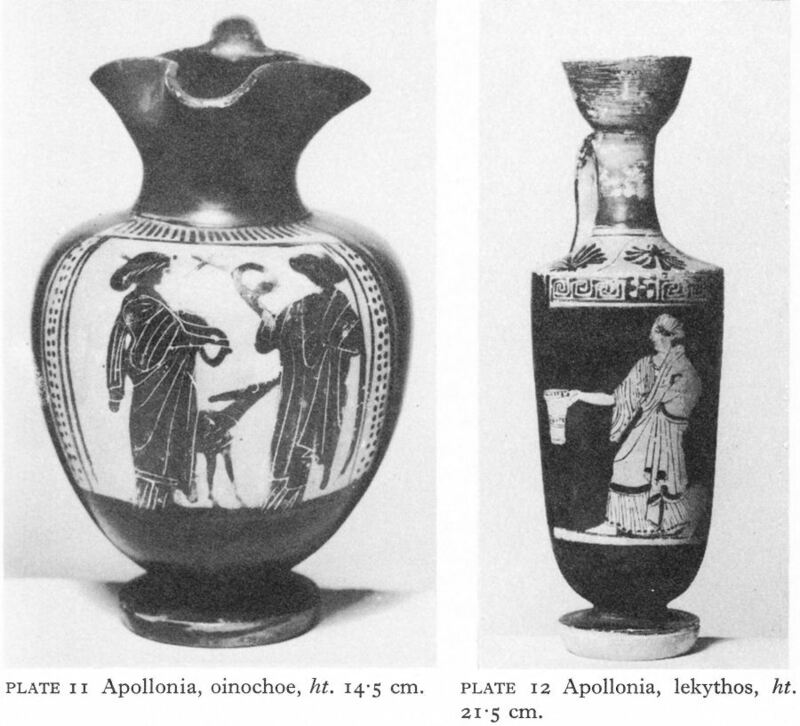 Greek Antiquities in the Museum August Kestner 446.